The Spectra Precision LL300S Laser Level features a rugged design with a metal sunshade that provides superior drop and weather protection (IP66). Designed for durability and reliability, the IP66 protection rating allows the Spectra Precision LL300S to be operated in adverse environmental conditions, such as heavy rain. Mud and concrete can be washed off with a hose. The LL300S can withstand drops of up to 3 feet onto concrete and tripod tip-over up to 5 feet, resulting in reduced downtime and lower repair costs. The LL300S is easy to use: turn it on, it levels, it spins. With the addition of the arrow buttons on the transmitter, grade matching can be performed whilst the other axis remains self leveled. The new, optional, RC402N long range 330 foot radio remote control makes slope matching a single person operation. 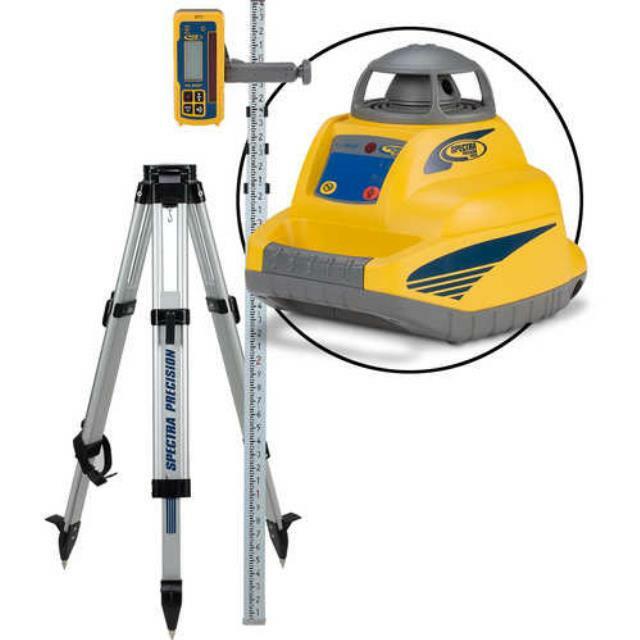 * If you have questions about spectra precision ll300s laser level rentals in the Kansas City Metro area, please give us a call at (913) 432-3656.